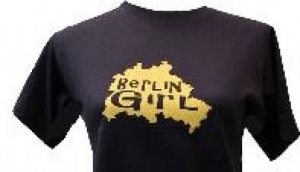 See My Destination Berlin for the best places to buy souvenirs, keepsakes, mementos, or commemorative merchandise such as collectables, postcards, magnets, mugs, t shirts and clothing, handcrafts, miniature figurines, ashtrays, flags, bags or bears. There are a few classic Berlin souvenirs of the city that most people leave with. Merchandise featuring the famous Berlin Ampelmann (traffic light man) make popular gifts, as do the Berlin Bear or Buddy Bear. For a unique Berlin memento buy a piece of the Berlin Wall - just be careful of fakes.